Does your ideal holiday look something like this? Are you more open to the waves? Or country walks through the rolling hills? - OR - Or yoga with a view? And how about this for a Christmas dinner? Then this view on New Year’s Eve? 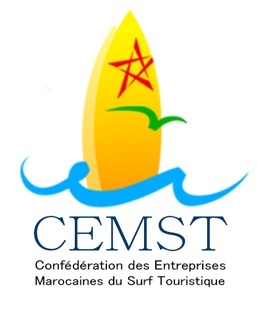 If so, let’s chat Christmas and New Year holidays in Taghazout, Morocco. And in particular at Amayour Surf and Yoga Hostel in Taghazout or Tamazirt by Amayour’s dedicated yoga retreat centre in the Anti-Atlas Mountains. If you’re looking for a blend of relaxation and adventure, join us for a yoga and surf holiday at Amayour Surf and Yoga Hostel. The day starts with sea views during a morning flow before a hearty breakfast and a day of surf. As the sun sets, we gather for more yoga and then family-style dinner on the terrace. Our location in the village of Taghazout means that guests can easily head out for wanders through the village, coffee with a view or dancing the night away on occasion. Book your yoga and surf holiday now! If your idea of a perfect holiday involves a yoga retreat in Morocco’s Anti-Atlas Mountains where the gentle sound of the call to prayer wakes us for our morning flow, fresh and wild Moroccan cuisine is shared family style under the blue skies, and evenings are spent cozying up with a good book and cup of tea after a restorative yin practice, join us at Tamazirt by Amayour! Throughout the five-night New Moon Yoga Retreats kicking off on the 29th December, guests will participate in eight yoga classes and two in-depth workshops, enjoy a hike the nearby Paradise Valley or wander through the weekly souk to shop for some of our favourite goodies, and spend free time wandering through the rolling hills from the doorstep at Tamazirt by Amayour. We also encourage relaxing poolside. Did we mention we have a heated pool? Or if you want to blend a bit of both, join us for a five-night New Moon Yoga Retreat at Tamazirt by Amayour in the Anti-Atlas Mountains just 15 minutes from the ocean and then book yourself in for some surfing and a stay at Amayour Surf and Yoga Hostel in Taghazout. Contact us for package details.